This home is a perfect 10 for the growing family! Fabulous master bedrm on the main lvl w/double trey ceiling & his/her closets. Stunning master ba! 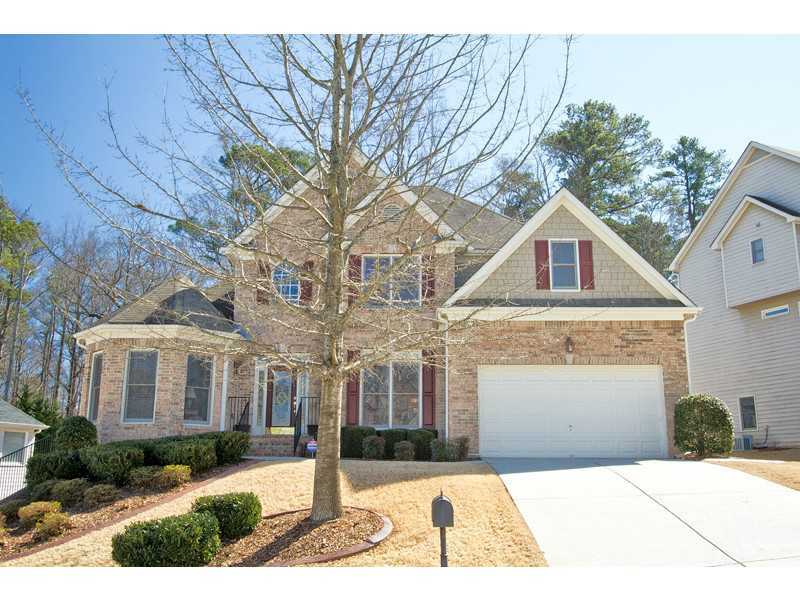 Main lvl features 2 story foyer w/spacious dining rm and butler's pantry. Family rm w/gorgeous dramatic coffered ceiling. Juliet balcony overlooking family rm. A must see beautifully finished terrace lvl w/full kitchen & full ba. Nice deck overlooking fenced in backyard perfect for entertaining. Great neighborhood w/outstanding amenities. Conveniently located to shopping, restaurants, & park. Hurry this one won't last long! See How Your Homes Compares! Listing courtesy of Osley Williams and Associates, Inc.